No one can argue the thrill of riding a motorcycle: the wind in your face, the beautiful scenery all around you, the sense of freedom and adventure riding on a country road elicits. Likewise, no one can argue that motorcycles can be dangerous for those who ride them because there’s no protection from outside forces as there is with a car, truck, or SUV. 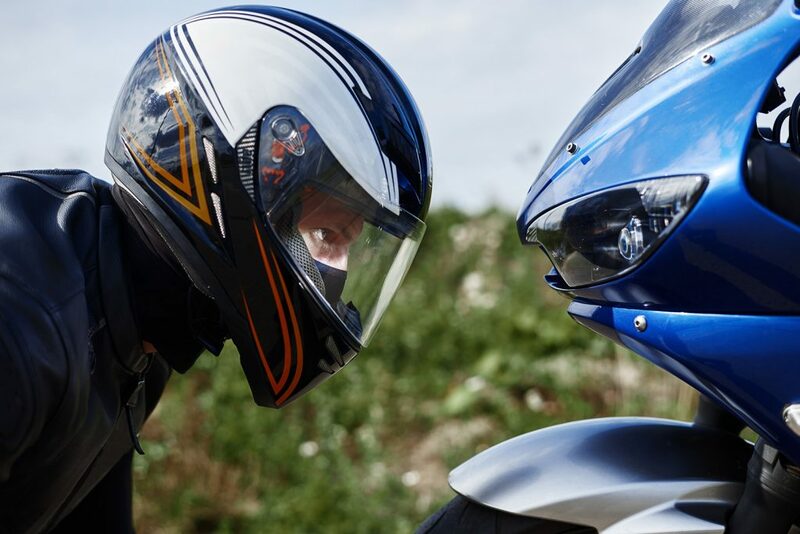 With only your clothing and a helmet to protect you from the hard surface of the road below and the cars all around you, motorcyclists are much more prone to serious injury than those in a car when a collision occurs. While wearing a helmet may not allow you to escape a motorcycle accident unscathed, it certainly will protect your head and face from the unforgiving pavement below your bike. Connecticut lawmakers are currently weighing helmet laws for the Constitution State, hoping to reduce the number of serious injuries and fatalities that result when motorcycles collide with other vehicles or stationary objects. The Insurance Institute for Highway Safety (IIHS) reports that motorcycle helmets reduce risk of head injury by 69% and they reduce the risk of death by 37%. One of the leading causes of death and disability in America is head injuries. The IIHS also reports that there were 5,172 motorcyclist deaths in 2017, and motorcycle deaths accounted for 14% of all motor vehicle crash deaths that same year. The number of motorcycle fatalities in 2017 was more than double the number of motorcycle deaths 20 years earlier in 1997. According to the Centers for Disease Control and Prevention (CDC), helmets saved the lives of approximately 1,859 motorcyclists in 2016. There’s just no arguing the fact that helmets do save lives. At the current time, 28 states have laws requiring only some motorcyclists to wear a helmet, and there is no helmet law whatsoever in three states (Illinois, Iowa, and New Hampshire). Forty-seven states, Washington D.C., Guam, the Northern Mariana Islands, Puerto Rico and the U.S. Virgin Islands have a helmet law for motorcyclists. Nineteen states, Washington D.C., the Northern Mariana Islands, Puerto Rico, and the U.S. Virgin Islands have a universal helmet law that requires helmets for all riders, the Governors Highway Safety Association (GHSA) reports. In Connecticut, a public safety transition group has been advising newly elected Democratic Governor Ned Lamont. Two bills have been proposed that would impose mandatory helmet use: One proposal would require helmets be worn by motorcycle operators and passengers under age 21. A second proposal would require all motorcycle operators and passengers to wear protective headgear. In addition to instituting a universal helmet law, the second bill would also require anyone riding in the back seat of a vehicle to wear a seatbelt. As Connecticut law stands now, anyone age 17 and younger must wear a helmet while riding a motorcycle. Connecticut had required anyone riding on a motorcycle, including passengers, to wear an approved protective helmet until 1976. After that law was repealed, there were no helmet requirements from 1976 until 1989. In 1989, the General Assembly enacted a “partial” helmet law that required anyone under the age of 18 to wear an approved helmet. Of course, there was opposition to the recent proposals requiring protective headgear for all motorcyclists. One motorcycle enthusiast said that although he wears a helmet, the does not think a law should require everyone to wear one. He believes the decision regarding the type of protective gear worn by a motorcyclist should be a personal choice—not a mandated one.